Prepare your holiday in Brittany: should you book your campsite in advance? Today, many holidaymakers book their camping holiday at the last minute, often due to lack of time and organisation, sometimes because they like to take chances. Big mistake! It is strongly recommended to book your camping holiday, especially in Brittany, months in advance. Brittany is ideal for camping and a firm favourite destination for the French! According to the Brittany Tourism Observatory’s latest statistics, the region alone welcomed nearly 12.8 million tourists in 2018. So be warned, with several thousand visitors flocking to Brittany every summer, Breton campsites fill up very quickly. 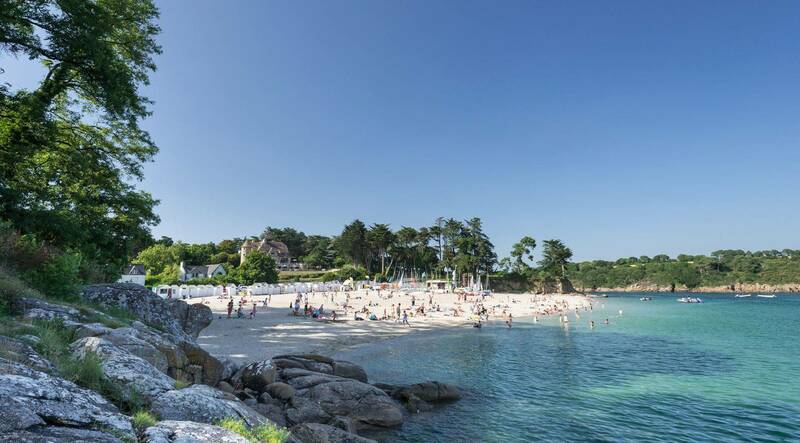 So, if you have set your heart on a pretty little seaside campsite in the Gulf of Morbihan, Southern Finistère or on the Pink Granite Coast, one word of advice: don't hang about! First come first served!! Finding the perfect campsite in Brittany is harder than it seems. It has to suit every member of your family. The task that lies ahead can quickly become time-consuming and complicated. We usually start by visiting the campsites presented on the first page of Google, then the second, third, fourth and so on. When you know that Brittany has nearly 750 campsites, best make sure you have time for all the research. ;) By booking several months in advance, you are giving yourself precious time to compare the prices and services of each campsite, the accommodation available (mobile home, chalet, bungalow, luxury cottage, etc. ), the leisure facilities and activities offered, the geographical location... When you’re one step ahead you have more chance of coming across that “rare gem” amongst the most beautiful campsites in Brittany ! Another advantage of booking early is the peace of mind that comes with it. Once you know where you're going and when you're leaving, it’s almost as if you're already on holiday! You can start preparing your holiday slowly and calmly, list the camping equipment you need, service all the family's bikes, identify activities for the children, plan visits etc... Remember, organisation is essential to avoid stress on holiday! When you book early, you also save money! A large majority of campsites in Brittany offer special Early Booking offers for bookings made 3, 4 or 5 months in advance. More choices at much cheaper rates, from 10 to 20% off !